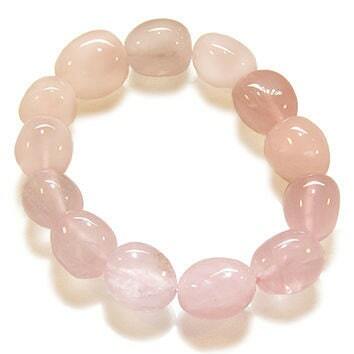 Rose quartz is known as a powerful love stone. 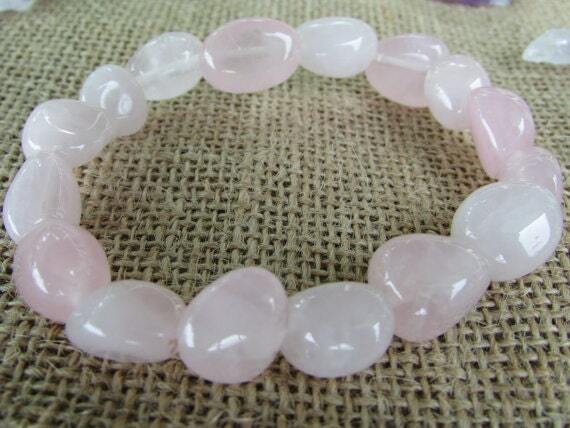 These bracelets come with chunky stones that are made up of highly polished quartz. Their shape is organic, rounded both in elongated and in chunky "boulder" shapes. The pictures do not even do justice to how Beautiful these gemstones are. Listing is for 3 Stretch Bracelets. Due to its elasticity, will fit all wrist sizes 6 - 8 inches. Good quality. Have ordered several items. Very pleased with all. Arrived quickly!